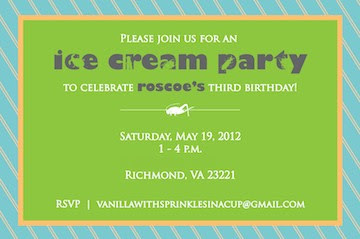 We're gearing up for Roscoe's birthday party tomorrow. Cleaning, baking, detail gathering this morning, and a trip for gelato and a stop at the toy store later this afternoon. I can't believe that my boy is three! Wow! THREE! That seems so grown up. Officially a kid, rather than a toddler. Enjoy celebrating with your big boy!